This backless bench is designed for children, with a reduced seat height it is easier to reach for kids and is ideal for schools, playgrounds and nurseries. This product coordinates with the rest of the Junior Countryside range of seating. Junior Countryside Bench offers robust seating ideal for children's play areas. The bench is manufactured from tough, hard-wearing Enviropol® Material or Timberpol® Materials and co-ordinates with the Junior Countryside Seat or Picnic Table. 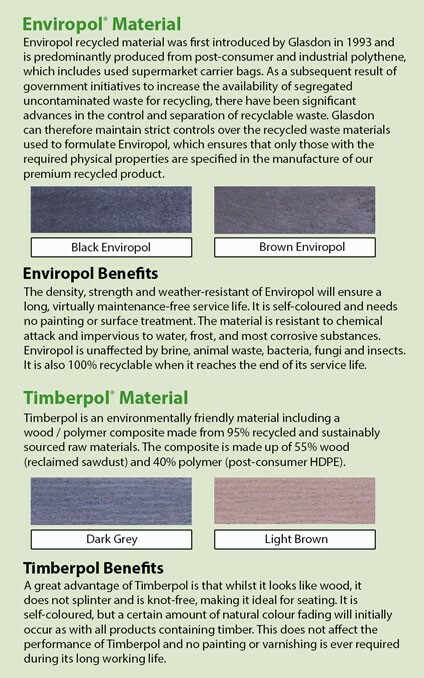 Integrally-coloured Enviropol or Timberpol Material slats never need painting. 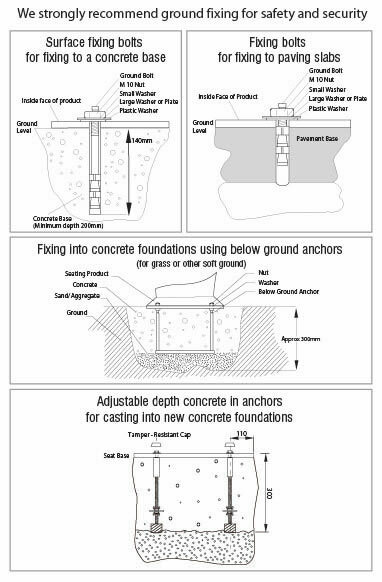 End supports: Mild Steel with Armortec® Coating. Slats: Enviropol Material or Timberpol Material.